Policemen deploy during the Mar. 18, 2015 attack on a museum in Tunis. The US says Wanas al-Faqih “planned” the attack. The State Department has added three commanders from al Qaeda’s branches in Yemen, Somalia, and North Africa to the US government’s list of specially designated global terrorists. One of the jihadists is responsible for planning the Mar. 2015 Bardo Museum attack in Tunis, according to Foggy Bottom. Another serves as Shabaab’s deputy emir. State listed the three al Qaeda figures as Wanas al-Faqih from al Qaeda in the Islamic Maghreb (AQIM), Abukar Ali Adan from Shabaab (al Qaeda’s branch in East Africa), and Muhammad Al Ghazali from al Qaeda in the Arabian Peninsula (AQAP). The three al Qaeda branches wage insurgencies in their respective regions while continuing to plot terrorist attacks elsewhere, including against Western interests. Al-Faqih “is an AQIM associate who planned the March 18, 2015 Bardo Museum attack in Tunis, Tunisia that killed at least 20 people,” State says. The US government’s decision to finger al-Faqih for the Bardo Museum massacre is noteworthy, as there has been some confusion concerning responsibility for the operation. The Islamic State quickly claimed responsibility for the murders. 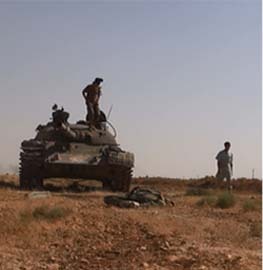 The eighth issue of the group’s Dabiq magazine provided a brief overview of the plot. Dabiq’s editors wrote that a pair of Tunisian jihadists “were sent on their mission after having trained with their brothers in Libya and having declared their bay’ah [oath of allegiance]” to Abu Bakr al Baghdadi’s self-declared caliphate. “They returned to Tunisia, bravely advanced towards the security quarter in Tunis, entered the museum – located across from the Tunisian parliament – and poured terror on the kuffār inside, killing more than 20 of them and injuring a dozen others,” Dabiq’s editors added. That same issue of the group’s propaganda rag included an interview with Boubaker al-Hakim, a veteran jihadist who was implicated in high-profile assassinations inside Tunisia. 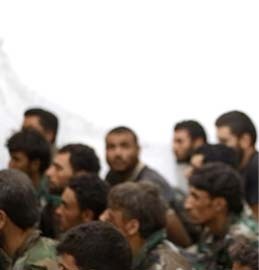 Al-Hakim praised the Bardo gunmen and called on Islamic State supporters to follow in their footsteps. In Feb. 2016, the US targeted Noureddine Chouchane, a Tunisian, in an airstrike in Libya. 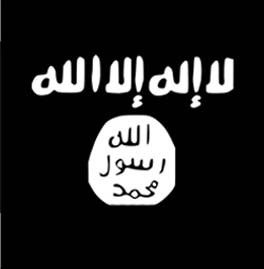 Chouchane was an Islamic State facilitator who shuttled fighters between North Africa and elsewhere. The Tunisian government had identified Chouchane as a suspect in the assault on Bardo Museum. However, Tunisian authorities also blamed members of the Uqba bin Nafi Battalion, a wing of AQIM, for the Bardo slayings. Al-Faqih has long had ties to the group. In Apr. 2015, for instance, al-Faqih eulogized Uqba bin Nafi Battalion leader Lokman Abu Sakhr, swearing that the Tunisian jihad would outlive Sakhr. Tunisian officials had implicated Sakhr in the Bardo killings as well. In separate messages, al-Faqih has also called for additional attacks inside Tunisia. The Islamic State poached members from AQIM and its front groups in order to swell its ranks in North Africa. So, it is possible that the Bardo Museum terrorists were initially part of AQIM and its Uqba bin Nafi Battalion, but decided to defect to Baghdadi’s cause. State described Adan as the “deputy leader of al-Shabaab” but provided no other details on him. Research by FDD’s Long War Journal shows that Adan fits the profile of a rising star in al Qaeda’s East African branch. Adan’s career can be traced back to Mar. 2010, when he was identified in a Reuters report as Shabaab’s “chairman” along the border with Kenya. In May of that same year, he was reported to be Shabaab’s leader for the southern city of Kismayo. At that time, Kismayo was controlled by Shabaab and was a central hub for the jihadists’ economic and military operations in southern Somalia. As the emir for Kismayo, Adan wielded significant power, which he used to recruit and expand Shabaab’s footprint. In Dec. 2011, Adan said that teachers and students were obligated to participate in Shabaab’s jihad against the government and the West. Adan continued to rise within the ranks of Shabaab’s top leadership. In July 2012, a BBC Monitoring report identified Adan as the emir of the Lower and Middle Juba regions, the two southernmost provinces in Somalia where Shabaab’s insurgency has been anchored. He answered directly to Sheikh Godane, Shabaab’s previous emir, at the time. By 2014, Adan had entered Shabaab’s top leadership circle. According to the International Crisis Group, Adan served as the “overall Al-Shabaab military/militia head.” As the head of its military, Adan would be one of the most powerful figures within Shabaab. 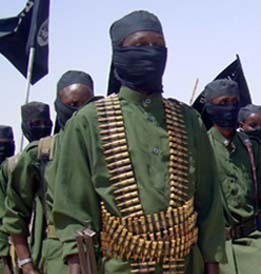 Traditionally, Shabaab’s military emir also serves as the group’s deputy emir. 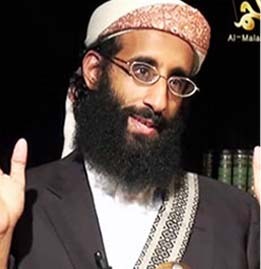 As a leader within AQAP’s internal security branch, Ghazali would be involved in rooting out “spies,” as well as suppressing dissent from rival jihadist groups such as the Islamic State. 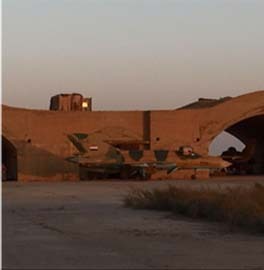 Missed the CIA helicopter ride out of Syria?